With the Guaranteed Delivery program, eBay is allowing shoppers to filter search results to show only items that offer guaranteed delivery within 3 days. That means sellers who don’t participate may get less visibility for their listings. During a webinar in March, an eBay spokesperson said the company was seeing “more and more customers” using the Guaranteed Delivery filter on search results pages. While that’s vague, it seems worthwhile for sellers to take some time to understand the program and carefully weigh the risks and rewards. While some sellers were disappointed they weren’t among those allowed to participate in time for the 2017 holiday shopping season, others say they want nothing to do with the program – and it’s not just an emotional reaction to change. 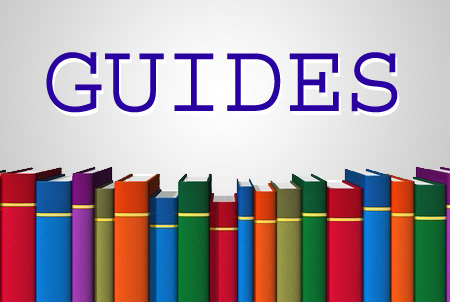 There are many factors that sellers consider when determining the practicality of offering GD, including the types of items they sell and the nature of their operations. In addition, sellers have also learned to be wary of raising buyer expectations, especially since buyers can leave negative feedback, and some sellers may mistrust eBay to get the delivery dates right. 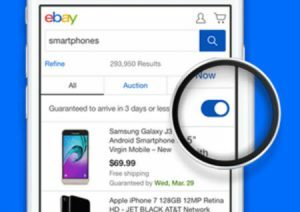 A recent product search we conducted on eBay highlights why nevertheless, plenty of sellers will want to be able to participate in Guaranteed Delivery: visibility of listings may be severely curtailed for sellers not participating in the program. As an example, when we searched eBay for “dog collar” on Thursday, it came back with 413,397 results. On the right side of the search results page under the Sort, View, and Group Similar Items features is a “Guaranteed 3 day delivery” button shoppers can toggle on and off (the default is off, at least for now). When we turned on the GD filter, it went from displaying over 400,00 listings to showing only 14,743 results. In the left nav bar, eBay also provided the option of selecting a preferred Guaranteed Delivery of between 1 and 4 days. On our search, filtering by 1-day shipping displayed only 25 results. Remember that when buyers see “1 day shipping,” it means they expect to receive the item the next day, as opposed to seller handling time; eBay requires 1 or 2 day handling time to be eligible for the program, and it figures out how long it will take the package to get to the buyer based on buyer/seller location, shipping method, and other factors. eBay recently announced it would open up the program to additional sellers in May. Here are the eligibility requirements in a nutshell – be sure to read the details on the eBay website. I want to make sure that you are aware that through the rest of 2018, if you qualify and your items have the right service level, eBay will protect you 100% if the item arrives late – see (link). Starting in 2019, we will protect you 100% as long as you meet your handle time commitment. There is limited risk and added exposure if you qualify. For those who wish to opt out, here is the path: After we notify you that you’ve been included in the program during this month, go to Account Settings, Site Preferences, and then Scroll down to eBay Guaranteed Delivery setting to opt out. But following that advice would put those listings at a disadvantage. It’s remarkable that eBay is not providing sellers with tools to manage Guaranteed Delivery on a listing-by-listing basis. It makes it very difficult for sellers who wish to test GD on a subset of listings and as a result, may slow adoption. One feature of GD that eBay hasn’t discussed much is its Working Days calendar, which it launched in the Spring 2017 Seller Update. This allows sellers to change settings to indicate their shipping schedule – a great feature, but unfortunately, it only applies to items offering same-day shipping. The new working day calendar gives you control to set the days of the week you work and cut-off times for same-day handling. This enables you to align your shipping commitments to your business model, staffing, and even order volumes. Currently, eBay defaults all sellers to Monday-Friday working days and a 2 p.m. PT cut-off time. Example: Currently, if you do not work on Fridays, your seller performance may be impacted because we count Friday as a workday. With this change, you will be held accountable for shipping on only the days days you select that you work. Remember, days you do not work may extend the estimated delivery dates we display to the buyer. When a seller asked what eligible carrier services he could use for Guaranteed Delivery, a spokesperson pointed to this page with a list of carriers. Sellers interested in testing GD may be tempted to hold off. Just keep in mind that waiting until the busy holiday shopping season may not be ideal, and as long as sellers can prove they’ve met their handling time, eBay promises to cover the guarantee at no cost to the seller only through the end of the year. A risk factor we haven’t seen addressed: In cases where a delivery is late due to shipping carrier delays, will eBay remove any negative feedback from buyers disappointed by what they see as a seller’s failure to deliver by eBay’s Guaranteed Delivery date? What happens if an item does not arrive by the guaranteed date? This late delivery coverage does not protect your late shipment rate. Sellers are still required to meet the program requirements of 97% on-time handling and 95% on-time tracking to continue offering Guaranteed Delivery. 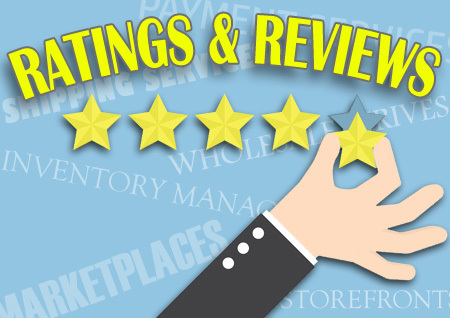 These requirements are in-line with eBay Top Rated Seller requirements. After the end of the year, eBay will continue to make it right when items arrive late and buyers make a claim, as long as the seller met their handling time commitment. In addition to the links we’ve provided above, you can learn more about the eBay Guaranteed Delivery program by watching the March webinar on this page of the Brandlive website. Update 5/17/18: eBay commenced the next phase of GD on May 16th, see the EcommerceBytes Blog for more information.